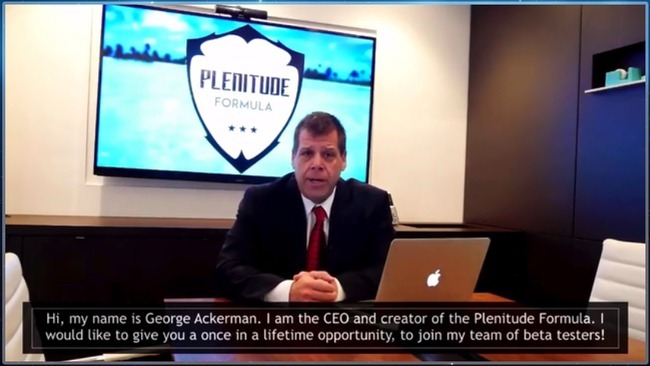 Plenitude Formula by George Ackerman claims to make huge profits quick, but can it really live up to the hype? 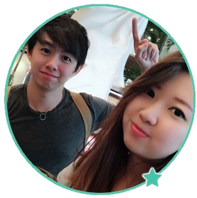 In this detailed Plenitude Formula review, I’ll reveal the inner workings of the software, and why Plenitude Formula scam won’t make you a single cent. Can Plenitude Formula really make you a millionaire? Generating hypes and exaggerated promises are some of the typical hallmarks of an online scam, and Plenitude Formula is a prime example of it. George has been beating around the bush and generating hypes throughout the sales video. He did not explain the true nature of his trading software, but instead the video is focused on brainwashing the viewers about becoming an overnight millionaire. Well, unfortunately I’ve had readers who fell for the scam and reported making a loss of almost $250 in just 24 hours. Check around forums such as Warrior Forum and you’ll come across similar stories. How Does Plenitude Formula Work? Plenitude Formula is actually a trading software designed to trade binary options on your behalf. If you haven’t heard of it, binary options is an extremely risky trading instrument that works like traditional gambling. Think of it as a coin-toss game. You choose a side and the trade begins, so you have about 50-50 chance to win a trade. The catch is – you have to risk at least $25 per trade, and the rewards is between $15 to $20. Talk about balanced risks to rewards ratio. You need to have a broker account to start trading binary options, so you are actually registering for a trading account when you sign up with Plenitude Formula. These brokers are affiliated with the scammers behind the software. You are required to deposit at least $250 to activate the software. The software will trade for you automatically, but most of these will be losing trades. The system is designed to favor the broker, where the risks to rewards ratio is heavily skewed against traders. This is why the vast majority of traders lose all their deposits within 24 hours of activating the software. Even though you don’t pay a cent to use the software, the scammers are actually feeding off you in the form of trading deposits. It is clear that the scammers behind Plenitude Formula want as many victims to sign up as possible. This is how they make their commissions (in the form of profit sharing with their partnered brokers). With this in mind, it makes sense for the sales video to generate as much hype as possible. The scammers WANT you to sign up for their scam and fund your trading account. On the bright side, you don’t have to pay a hefty price of $250 to learn about scams like this. Once you know how it works, you can start looking for red flags within their sales material. In the next section, I’ll reveal several strong evidence to prove that Plenitude Formula is indeed a scam. Meanwhile, if you are really determined to make money online, you should start learning the proper method and educate yourself on how affiliate marketing works. There is a learning curve and you’ll have to work for it, but it beats falling for scams over and over again. I’ve been there and it’s not fun at all. It may not be immediately obvious to the untrained eyes, but the same actor has been featured in another scam called the Cash Camp. Instead of George Ackerman, he identified himself as Michael Solovsky in the Cash Camp sales video. In fact, this is not the first time scams like these employ an actor to pretend as the CEO. Frauds like Automata Formula and Cloud Track Trader also used the same tactic to appear more legitimate. Does the opportunity sound too good to be true? Does the opportunity reveal how it actually works? Where does the profit come from? What is the required time and/or financial investments? There is no online opportunity that comes free. You are expected to shell out some money for a good product, so make sure you choose the right one. 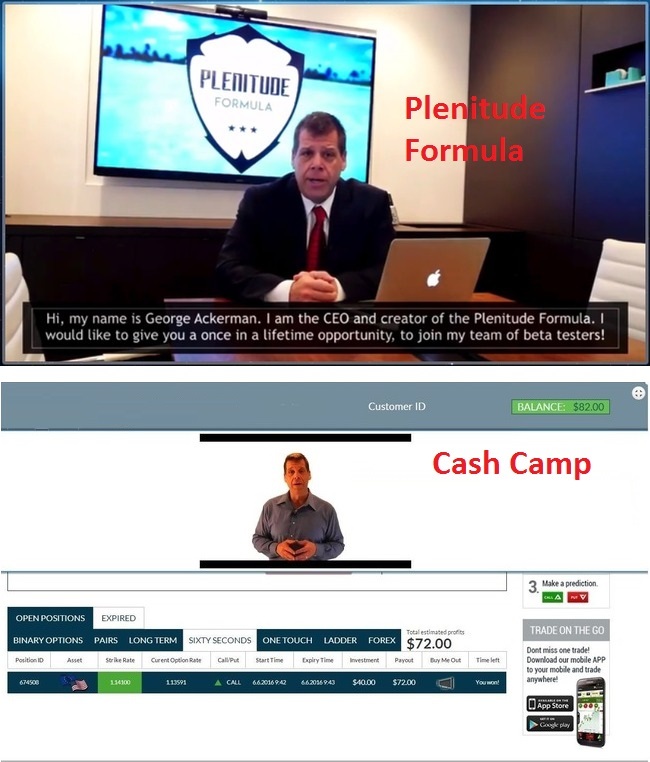 There are multiple video testimonials that allegedly come from the users of Plenitude Formula software. Each of them claims that the software changed their lives, but how much of it is true? 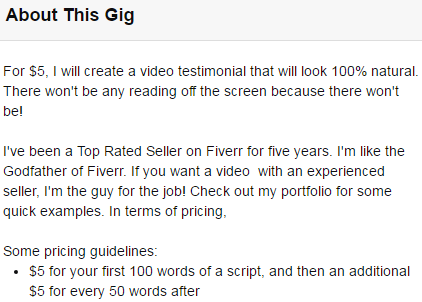 According to him, a basic 100 words testimonial is sold with a base price of $5. If you want to include more words, it comes at $5 for every 50 additional words. Of course, you have to provide the script, and he’ll read it like a piece of real testimonial. You can write ANYTHING you want, and he’ll still endorse it for you like it’s real. I do not condone or condemn the act of buying and selling fake testimonials, but I want my readers to be aware of this – that fake testimonials can be bought online very easily. Don’t be fooled by these fake endorsements. No one has made real profits with the software, that is why the scammers have to resort to using fake testimonials. PLENITUDE FORMULA IS A SCAM. I strongly advise you to stay away from the scam if you don’t want to lose your hard-earned money. I JOINED THIS AND PUT THE $250 IN THIS PROGRAM ABOUT SIX MONTHS AGO; AND ALL OF A SUDDEN; I STARTED RECEIVING EMAILS FROM GEORGE ACKERMAN SAYING I HAVE JUST WON LIKE $52,000 AND HE WANTS MY BANKING INFORMATION TO PAY ME. I HAVE GIVEN HIM MY PAY PAL ACCOUNT NUMBER AND INFORMATION; BUT THERE IS NO MONEY IN THE ACCOUNT AND I ALWAYS GET THE EMAILS I FORWARD BACK TO HIM COME BAK TO MY INBOX SAYING THEY CANNOT FIND HIS WE SITE ADDRESS OR EMAIL ADDRESS. ACCORDING TO MR. ACKERMAN, HE OWES ME ABOUT $500,000. IS THERE ANY WAY TO SUE THIS MAN AND COLLECT PART O F THE MONEY ? IF ANYBODY OUT THERE KNOWS OF A WAY TO CONTACT THIS MAN; PLEASE LET ME KNOW BECAUSE I WOULD LIKE TO TAKE HIM TO COURT AND MAKE HIM PAY FOR WHAT HE HAS DONE TO PEOPLE LIKE ME WHO COULDN’T AFFORD TOTHROW AWY MONE TO BEGINE WITH; AND NOW HE IS SENDING ME ABOUT A DOZEN EMAILS PER DAY; SO WHAT AM I SUPOSE TODO ? BLOCK HIM OR WHAT ? There seems to some discrepency as to withdrawal the main culprit in these Binary Trade Systems is (((THE BONUS THEY OFFER I JUST GOT CAUGHT UP IN ONE I HAVE TO EITHER TRADE 6000$ OR LET IT GO TILL RUN OUT OF MONEY ,i CAN NOT DRAW OUT ANY THING BEFORE THAT ,SO FAR I AM AHEAD THANKS TO THE DOW. if balance falls below trade min. it can be canceled and you forfiet balance. stay aeay from bonuses unless you are in for the long run . Yeah, the bonus will tie you in so you have to be very careful. Kathy, what’s the broker you were assigned to? You need to contact your broker instead of the scammers behind Plenitude Formula, as there is no way to track them down. Hmm I also signed up and lost $50 from first 2 trades. Should I continue to let the software trade for me? Hi Terrance, deactivate the software immediately and withdraw your remaining funds. It’ll be lost entirely if you let the software run.